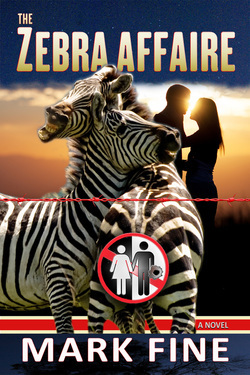 It is not often a book as intensely dazzling as “The Zebra Affaire” by Mark Fine comes along. A forbidden love story takes place against the dramatic background of 1970’s South Africa and apartheid. Fine draws you into the story cautiously, laying the groundwork for the eventual affair between Elsa and Stanwell. 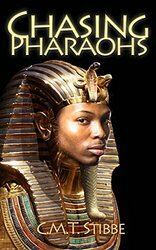 By gently educating the reader with the background of the conflicts in South Africa, awareness of the difficulties faced by the star crossed lovers is enhanced. This is more than a racial segregation issue; there is a deeper issue brewing in South Africa. Tribal conflicts cause significant damage to a country beset by violence and political unrest. As the love of Elsa and Stanwell grows deeper and more intense they are assisted by some to strengthen their bond. While segregation forbids open encouragement of their union, friends support them quietly. But the strict Afrikaner regime stands against them if not publicly at least in a behind closed doors attack on their union. While they flaunt their affair the government seems to stand in stunned silence as the world looks on. But the fanatics behind the scenes are both appalled and disgusted by their obvious sexual relationship and strive to expose and punish them for breaking hundreds years old laws. With vibrant descriptions of both the beauty and ugliness of South Africa the story weaves its way to an intense climax. Waiting for the resolution of the love affair the reader will also wait for the resolution of apartheid. Knowing the eventual outcome of South African politics and the rise of Nelson Mandela it is easy to anticipate the same result for Stanwell and Elsa. I highly recommend this lush and beautifully written story. Fine’s use of words is akin to an artist’s use of the palette; this is not a black and white story, this is a rainbow story with the rich colors of lives in turmoil. In a word, it is brilliant. If I could rate it higher I would do so. Not knowing the legend of Madog, I came into the story of Aisling with no expectations of what others might have for the story. 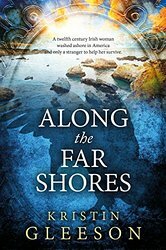 I found some information on line about his legendary voyage to America, but decided to wait until completing "Along the Far Shores" as to not be influenced about what I might find in Kristin Gleeson's own version of legendary events. It was an amazing weaving of a tale of three worlds. A woman of the European middle ages thrown into the glories and perils of North American Native civilizations of the Gulf Coast where she encounters and falls in love with a Tlingit traveler from Alaska. At first thought it becomes a story most unlikely, but none the less turns into an amazing and interest-catching legend in itself. Kristin's knowledge of these three worlds adds a credibility to the story line even though the reader might question "what's this Tlingit man doing on the Gulf Coast?" Realizing that the Tlingit were well known traders and travelers she smoothly fits Caxna into a reasonable role as a far flung trader from Alaska. But then again, it's not history, but legend so no reason why these two far-flung travelers couldn't have met and explored the great cities of the Gulf Coast in the pages of this wonderful piece of imagination based on facts of cultures and lives of three disparate parts of the world in a time when legends were made. A very enjoyable read as a contemporary version of an old legend. "Scorn Kills" is a wickedly devilish book that reads with the breeziness of a fiery furnace backdraft. It dramatically opens with a claustrophobic setting; a coffin relentlessly heading toward final conflagration, its living occupant desperate to plead his case. 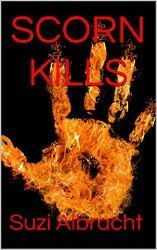 Horror it is not, but author Suzi Albracht's dark humor ensures that "Scorn Kills" is a far more satisfying read. Morality and fidelity are supposedly inscribed in blood, but for our main protagonist, his manly frailty is that well-treaded demon--the temptation of another woman. And for this transgression, alas, there would be no second chances. The first person telling of this breathless tale is delectable, as it is the sinner that narrates his own fate. What I especially enjoyed about Ms. Albracht's book is that she never burdened me, the reader, with tiresome sermons on the evils of infidelity; instead she expertly grabbed my attention with a vivid story, filled with flawed characters. For me, "Scorn Kills" is well worth the read!